If you are like me, you find yourself longboarding in Barcelona. 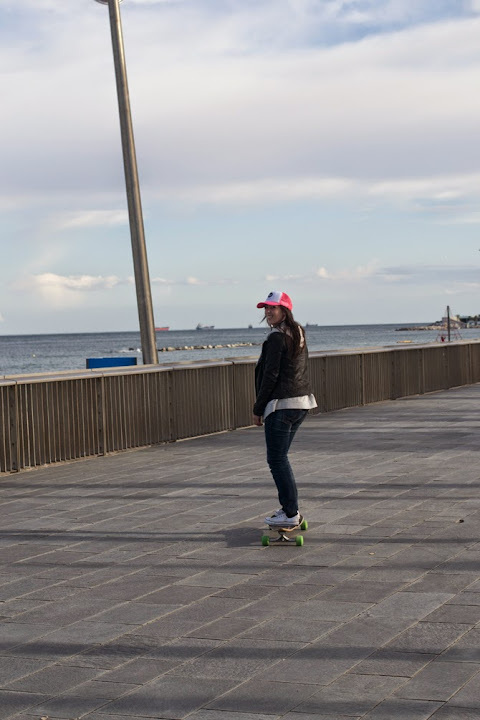 There are some great longboarding spots in Barcelona and I have these written down for you because you should definetely try these! 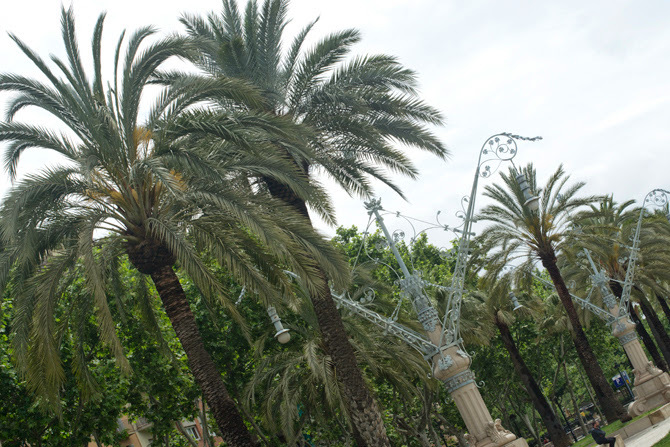 Barcelona is the place where long- and skateboarders are everywhere. If you have your own longboard you should bring it to Barcelona. Not possible? Or don’t have your own? Not worries, we rented our longboards at Inercia.com. 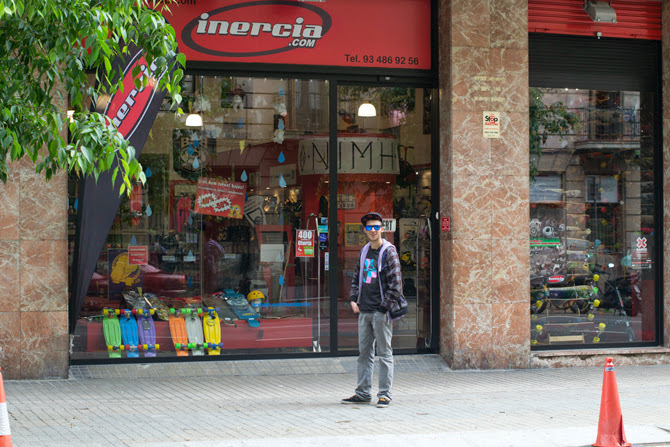 Inercia is a longboard and skateshop where you can also rent a board. Where: Carrer de Roger de Flor, 10 (In the neighbourhood of El Borne). €5 per hour, €15 a day or €25 for a whole weekend, you can hire a cruiser or even a downhill / freestyle board. 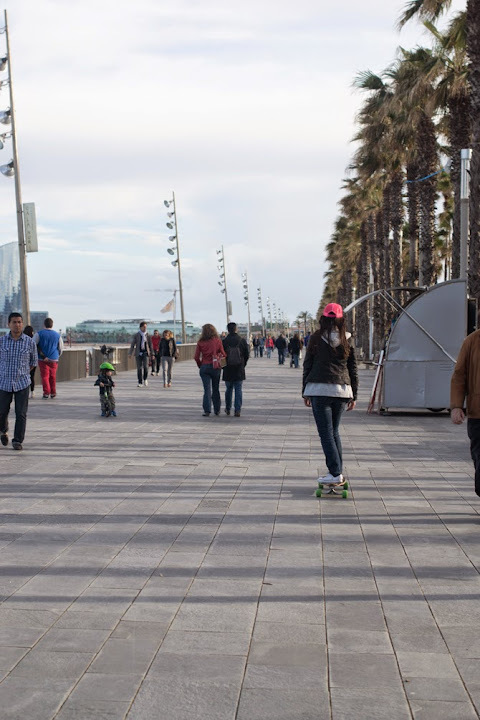 Would you prefer longboarding along the promenade you can go along Parc de la Ciutadella and cruise towards the beach (15 minutes single ride). The way to it is up, so it will cost you some effort, but it’s worth it! The roads are more crowded and the sidewalks sometimes have some nasty rocks on it (flat though). But it sure works! On the picture below you can see that there is sometimes a (bi) cycle path that runs along the road where you can go cruise. The Boulevard is obviously the place to go longboarding. Long walks (and separate bike lanes) where you can cruise between the crowd and you’re certainly not alone. The asphalt is great to cruise, I wish there were more of such ‘paths’ back here in the Netherlands! Two other hotspots, where I have not been, are: Numancia and the Forum. These two places I found afterwards by Tour Time.net. This seems to be the hotspot for longboarding down and practice going downhill. This location attracts many people, so watch your wheels! This location seems to be the best place to go longboarding in Barcelona. Wide, paved areas, no pedestrians, a few huge rock waves, many slopes., Etc. Best of all, relaxed friendly atmosphere all a longboarder needs!. Hopefully you have something to these tips! So grab for once no bus or bike, but cruise on! 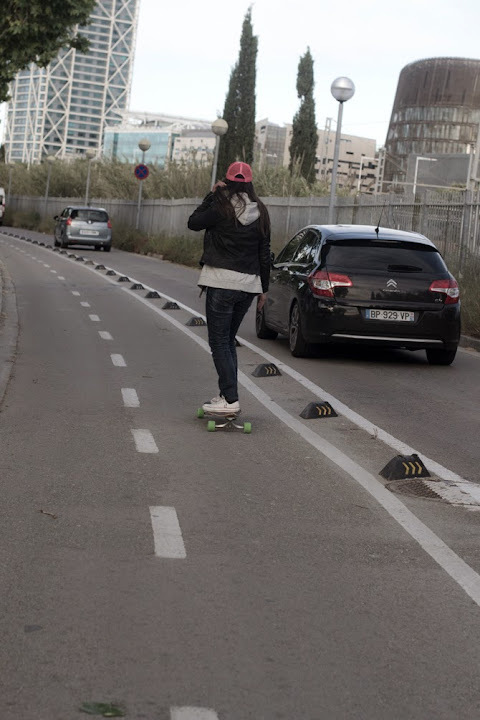 Would you (as a beginner) dare longboarding in Barcelona? 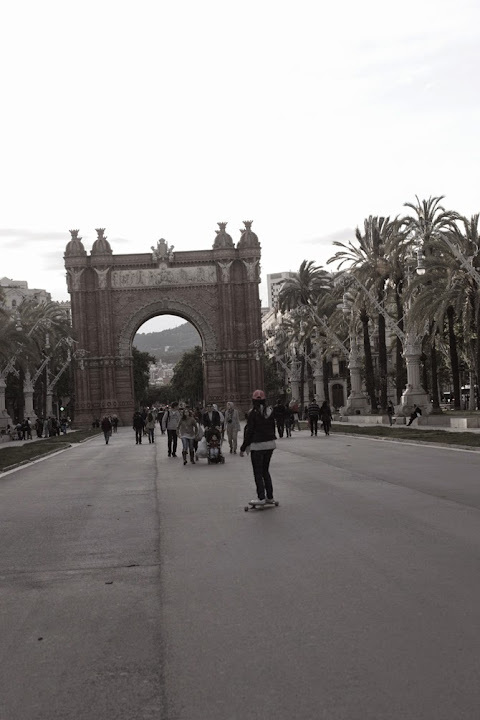 BCN is an excellent place to travel by longboard. Near the beach, Villa Olimpica towards Barceloneta and continue via the ‘wave’ building and desigual store, turn back via port vell and continu until las Ramblas. Excellent work, also for beginners (like myself). Thanks for your comment, I think my reader will get something out of it!